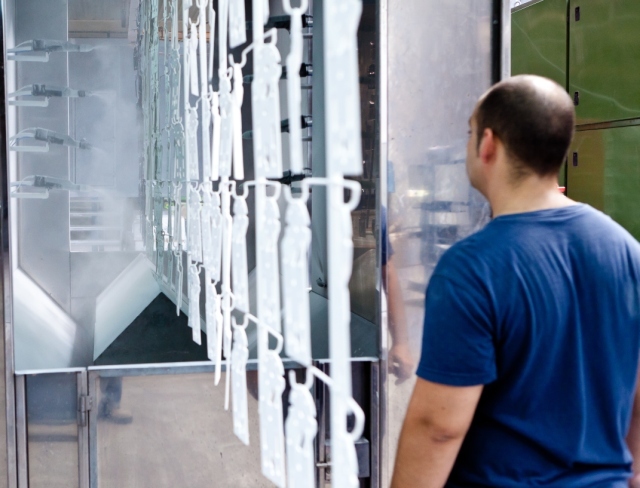 The powder paint process is based on the electrostatic application of thermoset or thermoplastic dry paint that comes in the form of small particles. The powder includes a large spectrum of colors, consistency, texture, hardness, flexibility, edge coverage, smoothness and temperature range of polymerization. It is a combination technique, widespread in some industries like automotive, when there are large outdoor requirements. This paint can be applied to previously processed parts with treatments such as phosphate, zinc, blasting and / or electrocoating. Pretreatments: Clean, degrease and prepare the surface. Drying: It eliminates moisture in parts to avoid lumps of particles when painting. 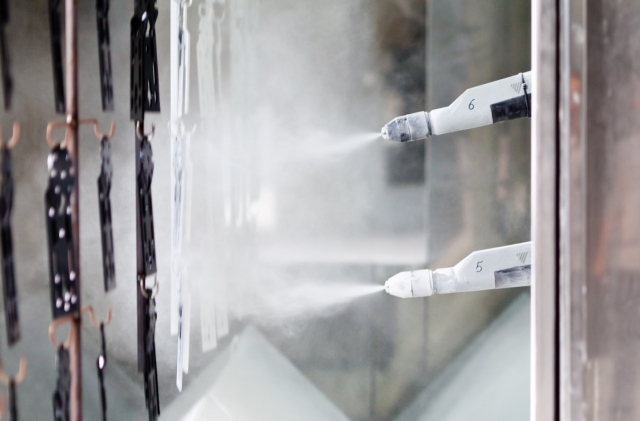 Cabin: Paint particles are applied by pistols in automatic or manual process depending on the geometry of the part. These particles remain attached to the piece through an electrostatic effect. 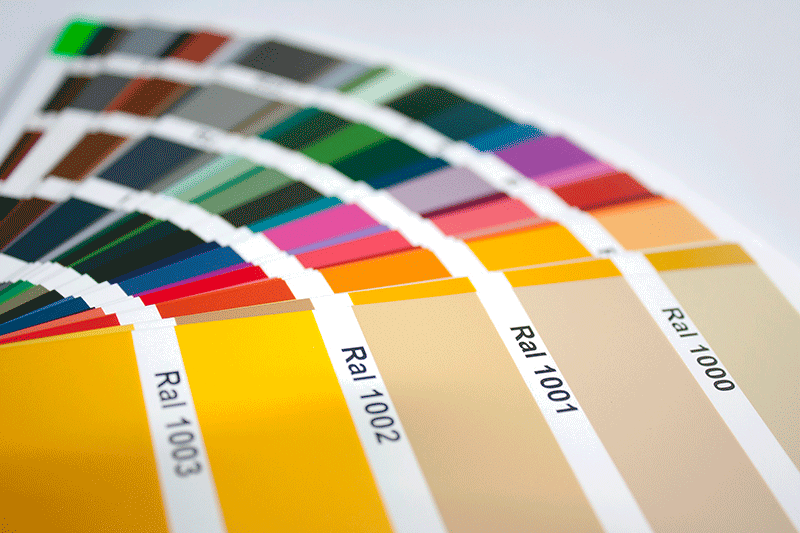 The paint thickness can be between 60 and 200 microns. Solution compatible with the environment, 100% organic. • Excellent resistance to impact, abrasion and wear.